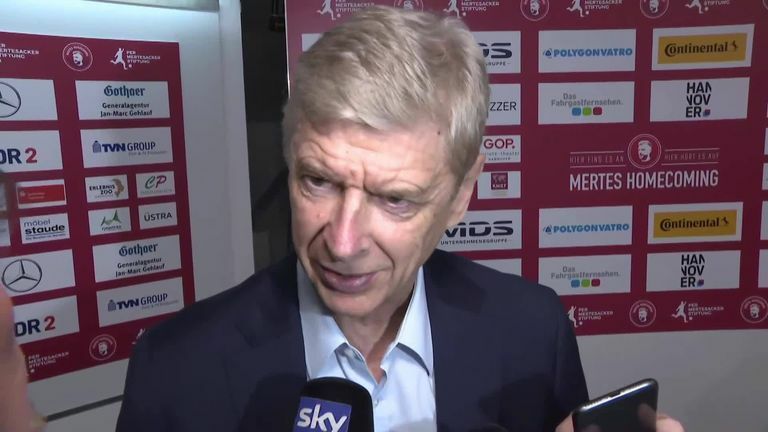 Arsene Wenger believes Thierry Henry has "all the ingredients" needed to succeed in management. Henry was confirmed as Monaco's new head coach on Saturday following the departure of Leonardo Jardim, who was sacked earlier this week. Henry made more than 100 Ligue 1 appearances for the French club during his playing career and Wenger has backed his former striker to impress in the Principality. "Good choice, he has a lot of credibility," said the former Arsenal manager, who signed Henry from Juventus in 1999. "He is very intelligent and understands football. "Like a lot of players on this high level, he has all the ingredients. Of course you always need a little luck and a good attitude." Henry will take charge of his first match when Monaco travel to face Strasbourg in Ligue 1 on October 20, and Wenger has warned the former striker about the pressures of management. "You have to sacrifice a lot," he said. "Basically you have to sacrifice all of your life."